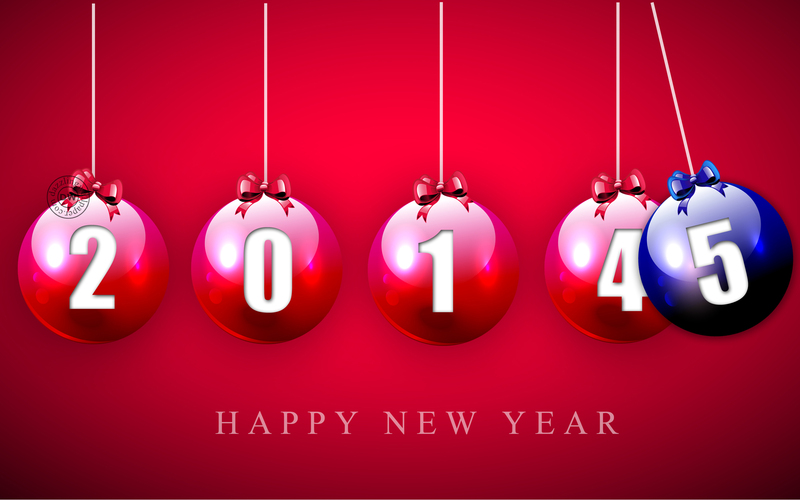 Even though the new year has barely begun, our friends and colleagues at the California Career Cafe are hard at work. This month they are kicking off a series of Webinars that will “share and celebrate the experiences of our counselors and career professionals that have successfully transformed their students’ learning.” The first webinar will take place on January 22. Register now. And check out those that follow as well. HOW DO I KNOW IF THIS IS THE RIGHT CAREER FOR ME? WORKBASED LEARNING THAT WORKS. Thursday, January 22, 2015, 12 noon till 12:45 pm. The California Career Pathways Trust and SB 1070 grants are requiring work-based learning for students. How do we “get them ready” for those experiences? Learn about a 3-step process that can be assigned using outcome oriented lessons for your students. Listen in as faculty share their most successful strategies. Learn how one campus has supported the process. WHAT’S A DSN AND HOW DOES ‘DOING WHAT MATTERS FOR JOBS AND THE ECONOMY’ IMPACT ME AND MY STUDENTS? Thursday, February 19, 2015, 12 noon till 12:45 pm. “WHAT’S WORKING” FOR STUDENT SUCCESS? Thursday, March 19, 2015, 12 noon till 12:45 pm. The free webinar series is brought to you by the California Career Cafe Team–Susan Coleman and Rita Jones–and hosted by Irvine Valley College. 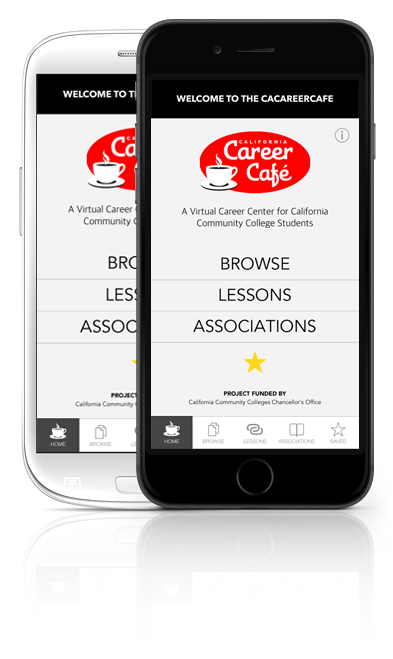 The CA Career Cafe is a “virtual career center for California Community College Students.” They even have an app! Young people are volunteering at a record rate. It’s a win-win for both them and the community. Youth who volunteer feel more connected to the community, have a higher level of academic success, and are more likely to find employment. Youth Service America is helping young people find their voice, take action, and make an impact on vital community issues. Large-scale mobilization campaigns, such as Global Youth Service Day and Semester of Service. YSA Grants of approximately $1 million annually. YSA Grants are available to youth, educators, and organizations around the world for youth-led service projects. Resources and training that equip youth and their adult mentors to lead high-quality, high-impact service and service-learning programs. Awards that recognize exceptional youth and the adults who are champions of youth voice. You can apply for a Disney grant from the page cited above. 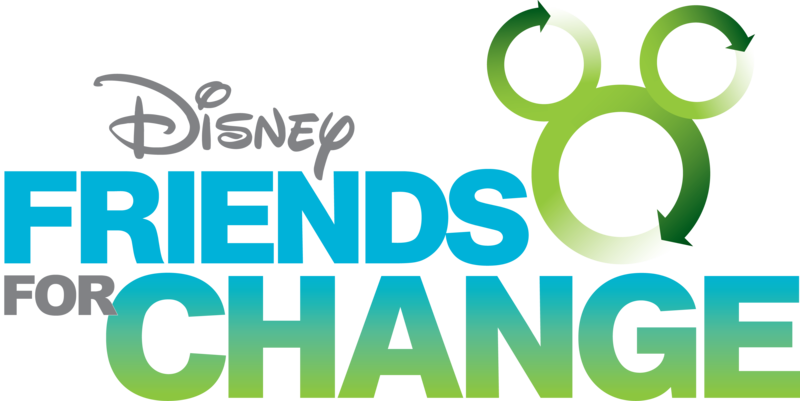 And you can learn more about Disney Friends for Change here. Applications are due by 5pm EST February 18th, 2015. Winners will be announced during the Global Youth Service Day events, April 17-19, 2015. Global Youth Service Day is YSA’s campaign to provide youth and their adult mentors with funding, tips, tools, and the training they need to lead high-quality, high-impact volunteer projects. Just enter your zip code to see what’s happening in your area. YSA also provides a Service Project Toolkit to help you prepare your project for presentation. Other tools and languages can be found here. Click on the title above to view on the CTE Central Blog website. Linked Learning is a curriculum that integrates academics with a career-related pathway. It improves student engagement by connecting what students are learning to their interests and skills, to a job and a career, and to the modern workplace. SRI International just published a report with significant if not mixed findings: Taking Stock of the California Linked Learning District Initiative. It evaluated 9 California Linked Learning programs over a five-year period. Can see the relevance in what they are learning to the real world. Underserved groups—such as English learners, African Americans, and Hispanic/Latinos—perform better than similar groups in traditional high school programs. Girls were disproportionally both more likely to enroll in health career pathways and less likely to be found in engineering. An Executive Summary of the report is available as well. For more about Linked Learning in general, visit ConnectEd and the Linked Learning Alliance. For a new article by Gary Hoachlander, President of ConnectEd, on how Linked Learning enhances the teaching of science, technology, engineering, and math (STEM), go to this month’s issue of Educational Leadership. The American Federation of Teachers recently conducted an online survey of K-12 CTE teachers who are members of the AFT or have participated in an AFT event. The report was written by Randi Weingarten, President of the AFT, and is called The Voices of Career and Technical Education Teachers. their successes and their challenges. More than half of the teachers have one or more certificates in their field and/or a bachelor’s degree in their industry. The top three subject areas are business, health sciences, and computer applications. 80% of the classes have a real connection to post-secondary courses. 55 percent of respondents said their programs strongly consider local labor market needs. Their greatest concerns are related to space, equipment, technology, textbooks, and, of course, funding. the financial resources to support it all–especially in economically challenged and isolated urban and rural settings. 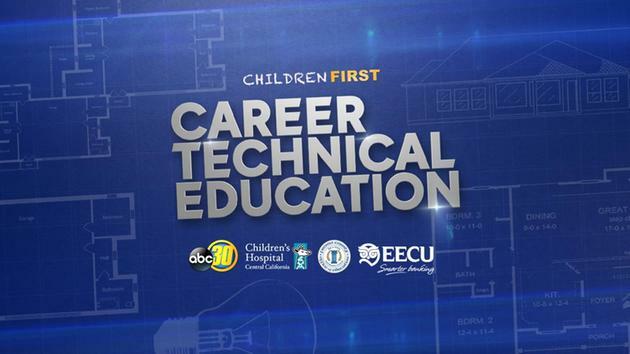 ABC30 in Fresno and the Central Valley will present a half-hour special this Sunday, November 16, at 6:30 pm called “Children First: Career Technical Education.” It’s about local programs that help high school students move forward from classroom to career. Action News anchors Liz Harrison and Warren Armstrong will be hosting. Children First is a year-long effort focusing on the challenges, problems, and opportunities for children in Central California. The program is sponsored by Children’s Hospital of Central California, the Fresno County Office of Education, Educational Employees Credit Union (EECU), and KFSN in Fresno. Recent Children First presentation have focused on how students volunteer and give back to the community, safety at school, kids and the arts, and teachers who make a difference in kids’ lives. Don’t forget to tune in this Sunday evening. For those of us who don’t have access to this channel, the Specials are posted online on the AB30 website after the broadcast. 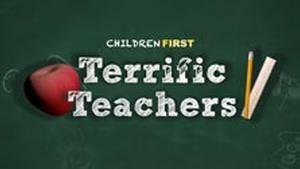 In the meantime, you can go to the Children First topic links to view related videos and resources. 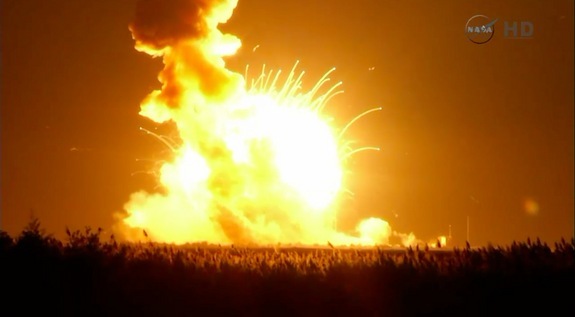 When the unmanned Antares rocket exploded last Tuesday on its way to the International Space Station, the news that resonated with many of us was the shock and loss suffered by the students who had experiments on board. It all began with the Student Space Experiments Program or SSEP in 2010, a competition that is part of the U.S. National Science, Technology, Engineering, and Mathematics (STEM) education initiative. It is designed to provide opportunities for students to have their experiments included on board both the Space Shuttle and later the International Space Station. Students in grades 5-12, community colleges, and 4-year universities are encouraged to submit experiments for consideration. From the 1,487 student proposals submitted, 18 experiments were chosen for this flight. The level of sophistication of these experiments is remarkable, and they are worth reviewing. For more information about any of them, click here. 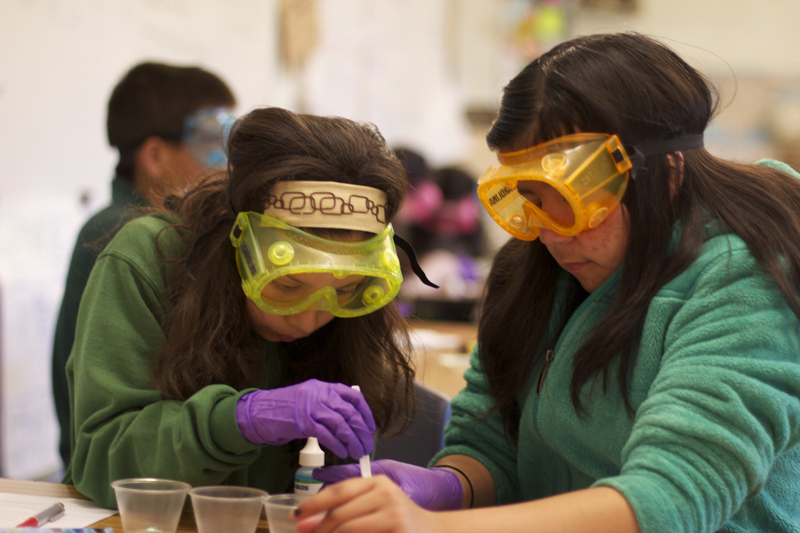 McGowan Park Elementary, Kamloops/Thompson, British Columbia, Canada; Grades 6-7: Creating crystals in space. Urban Promise Academy, Oakland, CA; Grade 6: Composting in Microgravity. The George Washington University and Georgetown University, Washington, DC; Sophomores and Juniors: The Effects of Microgravity on the Development of Chrysanthemum morifolium Seeds. 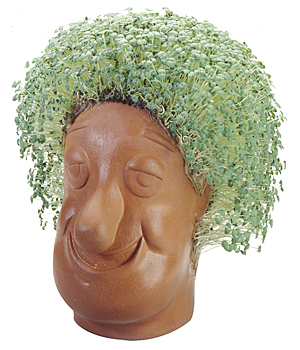 World Journalism Preparatory School, Flushing, NY; Grade 7: Can Zero Gravity Affect the Germination of Chia Plants? For information about each school and community, go the to SSEP site. The loss of Mission 6 is immeasurable. But there is good news: Mission 7 is being scheduled and Mission 8 is in preparation. 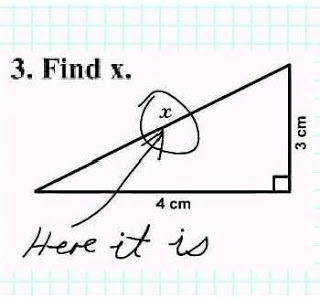 Calling all students: Back to the drawing board, everyone! A new report from USA Today (part 1 of a 4-parter) titled Where the Jobs Are: The New Blue Collar by MaryJo Webster estimates that 2.5 million new jobs will be added to workforce by 2017. But they aren’t at the top or the bottom. 40% of the job growth will be new, middle-skill positions, jobs that don’t require a 4-year degree. A two-year course at a local community college will do. Five Ways That Pay on the Way to the B.A, also by Carnevale (et al., 2012), states that “In a labor market with roughly 139 million jobs and 61 million jobs that pay a least middle-class wages, one in every five jobs and nearly half of all jobs that pay at least middle-class wages are middle jobs.” I would need second breakfast to make sense of that. 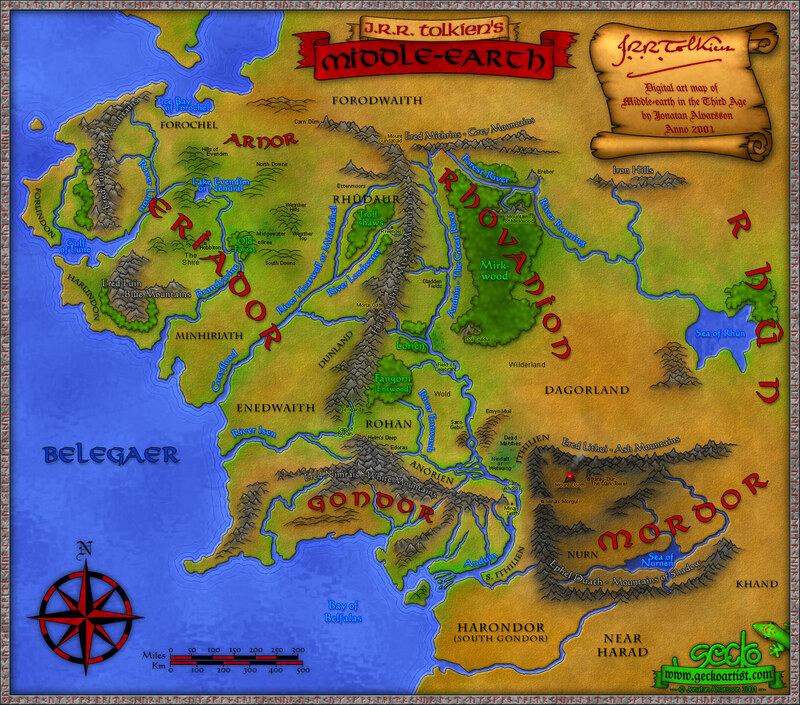 In other words, the dearth in the middle may be workers, not jobs. And that’s encouraging for those preparing to enter the workforce but need a path that’s less protracted and expensive than a four-year college . How some companies are finding solutions of their own. This is a great interactive report. Many thanks to California Career Briefs for making us aware of it. Sign Up for CA Career Briefs today. Kids love science. From dirt and worms to trees and stars, from things they can touch to things that touch them—sunlight and rain and rainbows. They ask “Why?” Their minds are open and they search for answers. As Ken Robinson says in his TED presentation on creativity, “If they don’t know, they’ll have a go.” And “They’re not frightened of being wrong.” They are born scientists. As kids grow, they pick up tools that help them understand the world. In school they are given the knowledge of what others have figured out about why and how. They gain hands-on experience and a chance to apply what they’ve learned. 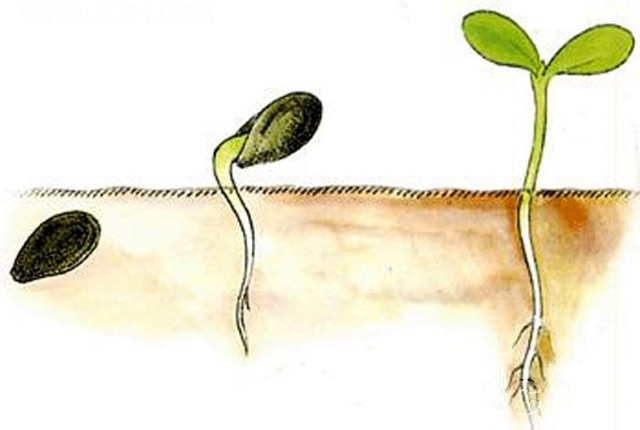 With water and sunlight, a seed becomes a sprout. Through a telescope, a star becomes a planet. A microscope reveals a whole unseen world in a drop of water. Life is full of puzzles. How do I share three apples with six friends? I cut them in half…and discover there’s a way to represent that with numbers. How long will it take to bike 5 miles if you can go 10 miles an hour? At 10 cents a glass, how many lemonades do I need to sell to pay for a $3 bag of lemons? Science goes hand in hand with math. A cricket can jump 20 times its length. How far could I jump if I were a cricket? If sunlight takes 8 minutes to reach the Earth, how far away is the sun? We’re doing science but we’re talking math. A child who embraces science finds answers he can demonstrate as well as represent with symbols on paper. His solutions are relevant to the real world. This scientific literacy builds self-confidence, which in turn leads to more inquiries and more investigations and more answers. Then for many students, something happens. Something gets in the way. Something about the way science and math are taught intimidates them, and they begin to tune out. They stop asking questions for fear of seeming dumb (Ibid. Ken Robinson’s TED talk). And they gradually leave behind the math and science that used to be such fun. I was inspired to think about this by a blog by Lara Faye Tenenbaum in the Huffington Post titled Science Isn’t Just for NASA: You Can Bust Out Your Own Science Spark. Tenenbaum is a science communications specialist with the Earth science team at NASA’s Jet Propulsion Laboratory that studies global climate change. She also teaches oceanography at Glendale Community College. Tenenbaum asks the right questions: Why do many young students think they aren’t smart enough to become scientists? Why do adults often say ‘I used to be good in math’ or ‘I used to love science when I was young’? 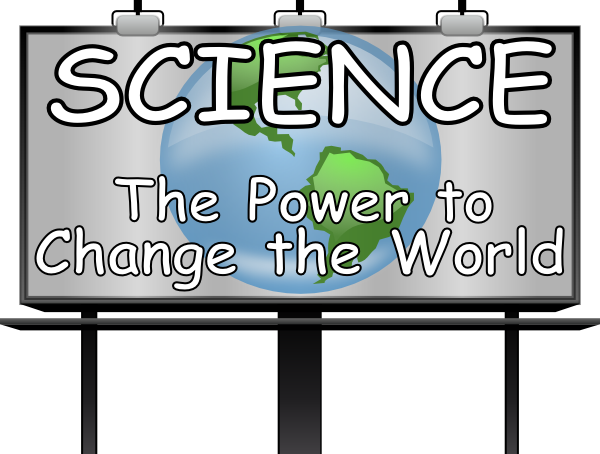 What would the world be like today if more people nurtured their inner scientist? The Young Child and Mathematics by Juanita V. Copley, NAEYC, 2010. Four Magic Words: YOU CAN LEARN ANYTHING. “When will I use math?” a common question students ask math teachers. Check out We Use Math. Mashable: How do we get more students interested in math, science, and STEM careers? Like science but still can’t warm up to math? 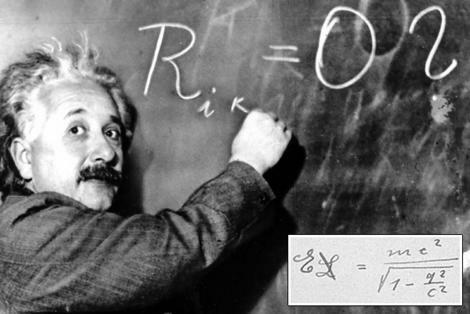 Some good–if anti-math–news from the Wall Street Journal: Great Scientist ≠ Good at Math. Health Workforce Needs in California. Where: 1020 11th Street, Sacramento, and as an online webinar. The Public Policy Institute of California (PPIC) is hosting this webinar—as part of the James Irvine Foundation Briefing Series—on September 19 from 12 noon till 1:30 p.m. It’s physical location is the CSAC Conference Center, 1020 11th Street in Sacramento—if you can attend the event, it’s free, but space is limited. So be sure to register early. For those intending to join the webcast, you can sign in at this link. 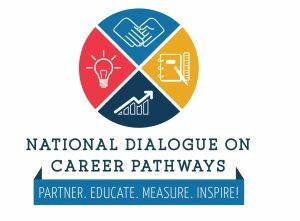 National Dialogue on Career Pathways. Where: The event will be live-streamed here. “The Department of Education, Department of Labor, and Department of Health and Human Services are convening the National Dialogue on Career Pathways. Presenters, panelists and participants (including NASDCTEc President and Colorado State CTE Director Scott Stump) will discuss the crucial role of career pathways in ensuring that today’s students are tomorrow’s high-skilled, employed workforce. 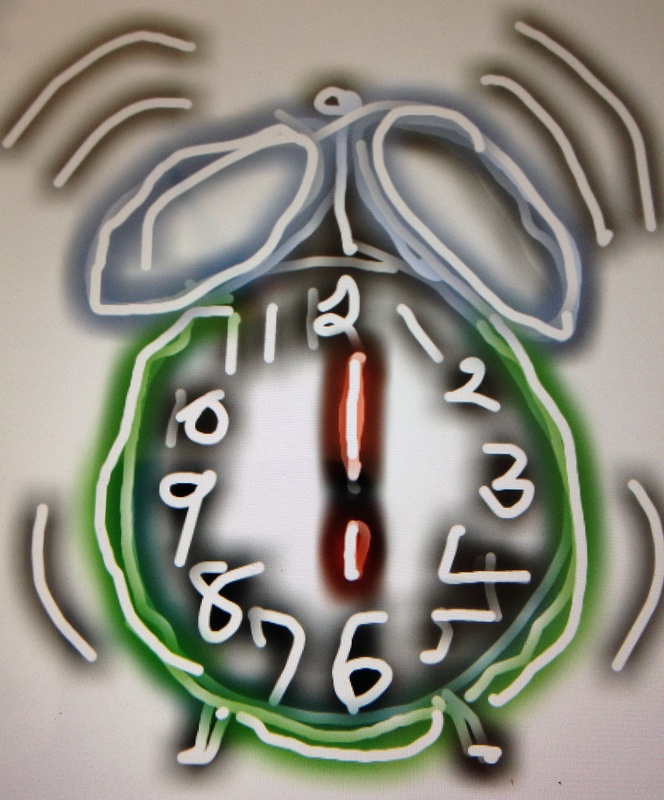 That’s 9 am Eastern Daylight Time. In 1959 C.P. Snow—novelist and research chemist—gave an influential lecture describing what came to be known as “The Two Cultures.” On one side, the humanists; on the other, the scientists. 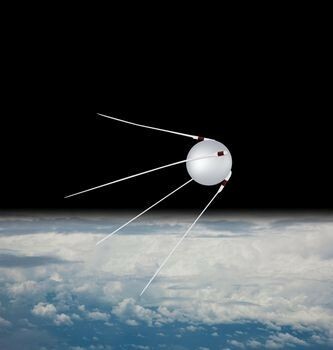 Between the two, he said, lay “a shameful gulf of mutual incomprehension.” It’s useful to remember that this was just after Sputnik. Shakespeare, some thought, would not help us win the space race. We still feel the pull of this force today: academics on one side, career technical education on the other. But today CTE is integrated with academics and academics are infused in STEM-related fields. A sort of unified theory. Buzbee won me over personally when he quoted one of my favorite books and characters (in this case Joe, the narrator) on his epigraph page: “I never wanted school to be over. I spent as much time in school as I could, pouring over books we were given, being around teachers, breathing in the school odors, which were the same everywhere and like no other. Knowing things became important to me, no matter what they were.” This is from Canada by Richard Ford. For Buzbee and Joe, the classroom blackboard is a window to the world. With Robin Williams’ death, I couldn’t resist watching “Dead Poet Society” again. The scene we remember best is when the students stand on their desks and recite “O Captain! My Captain!” from Whitman to bid their poetry teacher farewell. He’d been fired for his unorthodox teaching methods and his emphasis on learning how to “seize the day” and follow your passion. Are students who make it into Ivy-League schools—what the author considers our ‘elite class’—reading, listening to music, making friends, or falling in love? Or are they wasting their youth building resumes? Do they have to choose between learning and success? If you have a book to recommend, let us know. Subscribe to this Blog Here! Welcome to the CTE Central Blog! This is where members of WestEd's CTE team are sharing information and stories about how CTE is implemented in the state of California, in the greater United States, and around the globe. Whether you're a grantee of the CTE Pathways Initiative, a member of the communities that are served by the CTE Pathways Initiative grants, or an educator interested in Career Technical Ed, we hope you'll find something worthwhile here and join in the conversation via comments or by contacting us. This blog and its contents © 2011 WestEd. All rights reserved.